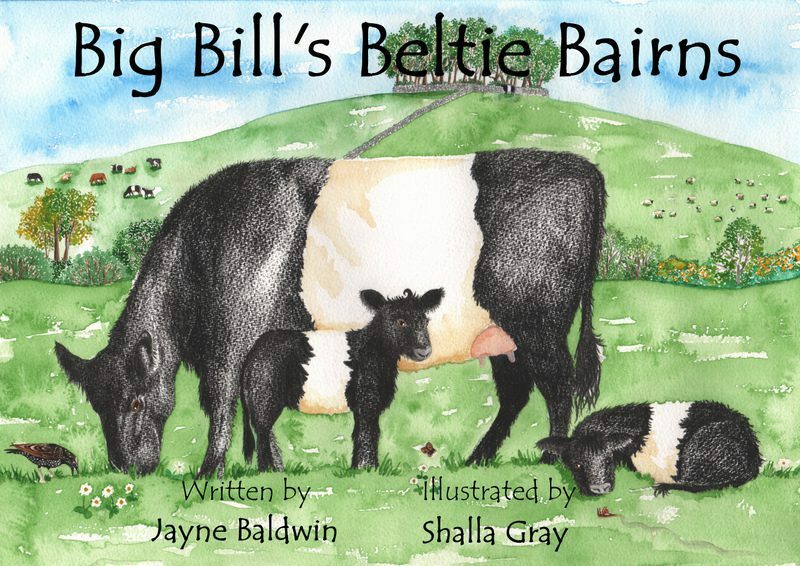 Fans of Jayne Baldwin’s first book for children, The Belties of Curleywee Farm, will be delighted to know that her next title is about to be published, but there’s been a bit of a gap in between. Since writing her first adventure for young children, Jayne has had quite an exciting time herself. 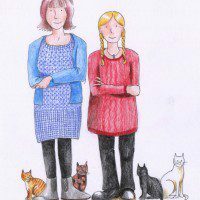 Just over a year ago she set up a new independent publishing company with writer and illustrator Shalla Gray, Curly Tale Books Ltd.
“In the last few years, with the rise of the e-book, publishing and book selling has changed completely. On the one hand it’s even more difficult to be taken on by one of the big companies, but on the other hand there are now more opportunities for small independents,” Jayne explained. 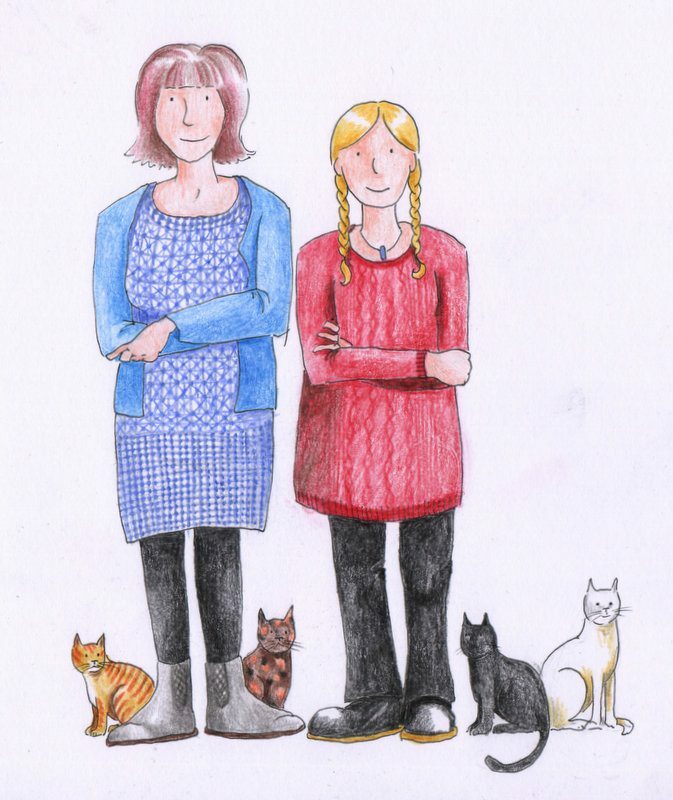 Jayne and Shalla live in the same small Galloway village – Shalla runs the village shop and post office – so they decided to put their heads together to start a company with the aim of producing their own quality children’s books. Their first title was gifted to them by Shalla’s dad, who also happens to be a famous graphic and comic book writer, Alan Grant (coincidently, a previous DGWGO featured writer). 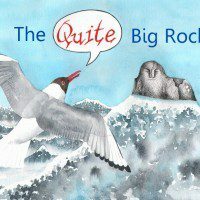 The story of the Quite Big Rock had been a bed time tale invented for Shalla when she was little. She decided to brush up her illustration skills, something she’d studied after leaving school, and create the pictures to go with the story. 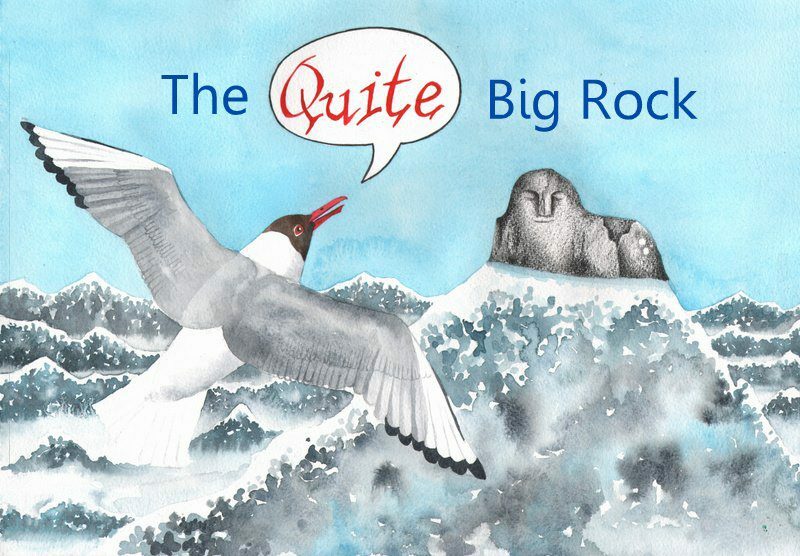 The Quite Big Rock, the journey of a rock who wants to be huge and very big but finds a different answer to his problem, proved to be popular and the sales were then ploughed back into the business to fund the publication of Shalla’s story, Big Bill the Beltie Bull. 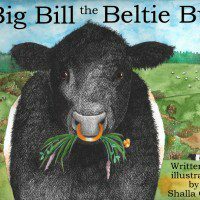 He proved to be such a great character that it seemed sensible to link Jayne’s next book to Big Bill and continue the series so Big Bill’s Beltie Bairns were born. 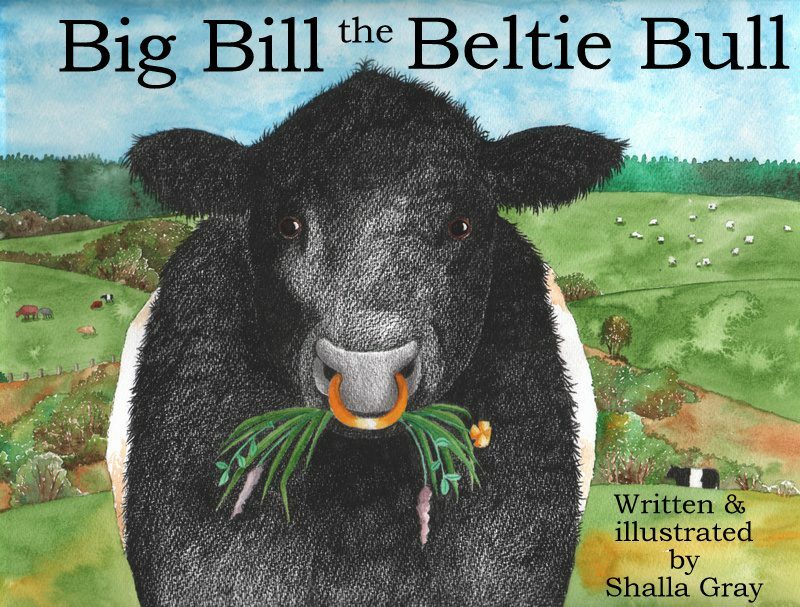 The new book, which follows the first adventure into the fields for Beltie twins Bertie and Buntie, is due for release during the Whisky, Words and Wisdom spring festival in Wigtown. Jayne used to work as a newspaper reporter and has recently returned to journalism by writing a weekly column for The Galloway Gazette. She is also the author of two books, West Over The Waves, The Final Flight of Elsie Mackay and Mary Timney, The Road to the Gallows, the story of the Glenkens Murder and the last public execution of a woman in Scotland which took place in Dumfries in 1862. Previous articleGATEHOUSE OF FLEET WILL BE BUZZING WITH BOOKS NEXT WEEKEND AS THE TOWN HOSTS ITS POPULAR LITERATURE FESTIVAL.